Traveling the world does wonders: it can change your perspective, broaden your experiences, and help you explore one-of-a-kind places. Of course, traveling comes with one significant drawback. It can be prohibitively expensive. The high price of traveling the globe is why many people never get the opportunity to embark on international adventures. Fortunately, it is possible to travel without breaking the bank. You just need the right credit card. Travel credit cards offer benefits that let you see the globe without wrecking your finances. Here’s what you need to know about travel credit cards. 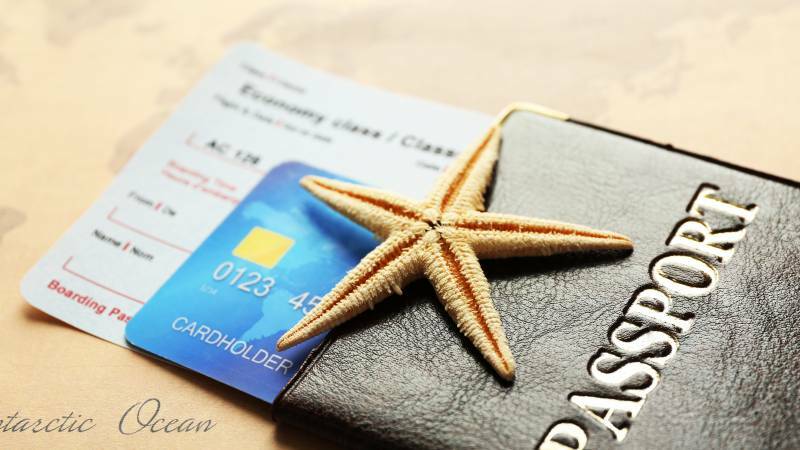 A travel credit card is your best companion if you want to score affordable vacations. Travel credit cards hook you up with free perks, rewards, and discounts. Though each card is different, most travel cards offer rewards points for each purchase you make – typically one point per dollar spent, with additional bonuses for purchases at certain businesses or common travel expenses. Many cards also give new cardholders signup bonuses to help pile up the points even faster. Once you’ve accrued rewards points, you can redeem them for different travel benefits. The most common perk is free airline miles, but many cards can also help you pay for a variety of other travel expenses, including baggage fees, hotel bookings, rental cars, and more. Depending on the card, you might also have other perks, such as priority boarding, free upgrades, airport lounge access, and special discount rates without paying or cashing in points. Chase Sapphire Preferred Card: The Chase Sapphire Preferred Card has been a fixture atop the list of best travel cards for years now. Its greatest asset is flexibility –users can transfer their rewards points to any Chase travel partners at full value. Your rewards points can also be redeemed for taxi fares, cruises, rental car fees, and other common travel expenses, making the Sapphire one of the most sought-after cards for frequent travelers. You’ll also receive a bonus 50,000 points if you spend $4,000 on purchases in the first three months. Capital One Venture Rewards Card: With the ability to earn two reward miles per dollar spent and 10 times the miles on hotel bookings, the Capital One Venture Rewards Card is a great way to rack up rewards in a hurry. A one-time bonus of 50,000 miles after $3,000 in purchases will help you reach your travel goals even more quickly, and you’re free to use any hotel or airline. Bank Americard Travel Rewards Card: The Bank Americard Travel Rewards Card is a great option if you only travel occasionally. There’s no expiration date for rewards points, and if you also have a Bank of America checking or savings account, you’ll get an additional 10 percent bonus on all purchases. Your points can be used to cover nearly any travel expenses, and there are no blackout dates or restrictions. If you sign up online, you’ll also receive 20,000 bonus points if you spend $1,000 within the first 90 days. Once you’ve identified the travel card that’s right for you, it’s important to understand the risks involved. For all their benefits, travel credit cards can quickly lead to trouble if you don’t use them responsibly. Whenever possible, try to stay within your budget and only make purchases you can afford. Speaking of credit scores, it’s also important to be aware of your credit history when dealing with credit cards. A strong credit history will earn you more favorable terms and benefits, and using your travel card responsibly can strengthen your credit. However, missing payments and carrying high balances can quickly have the opposite effect, leaving a negative impact on your credit history. Before you apply for a card, be sure that you understand your credit and how a travel card might impact it. Traveling the globe has never been more accessible, and by using a travel rewards credit card wisely, you can travel in style at a fraction of the price. There are options and benefits to suit just about anyone, so why wait any longer? Do some research to find the perfect card for your needs so you can get out there and see the world!